To celebrate its digital milestone of 2 million Facebook fans, NESCAFÉ Philippines held a festivity at the SM Mall of Asia. The NESCAFÉ Fans Day: 2 Million Likes, 2 Million Moments was a free whole-day event that featured free sampling of NESCAFÉ products, live band performances, and lots of activities for the NESCAFÉ fans. The brand reached the milestone on October 23, cementing its position as the number 1 Facebook brand page in the Philippines in terms of fan base and engagement. 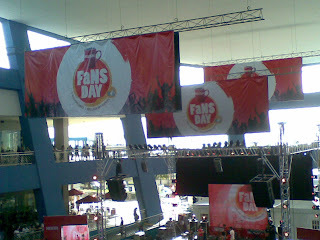 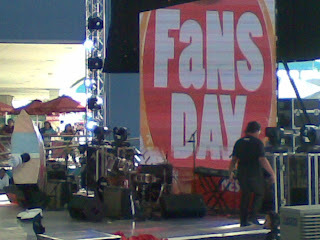 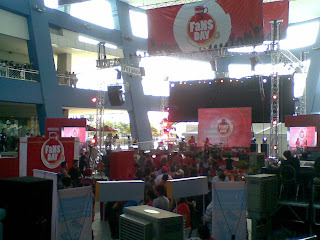 Nescafe Fan's Day was indeed a day dedicated to entertain and bring enjoyment to the people. It captured millions of memories with the appearance of popular bands like Callalily, 6 Cycle Mind and Urbandub along with celebrities Frank Magalona, Drew Arellano and Petra Mahalimuyak. 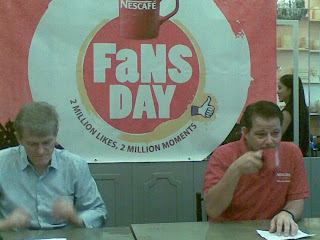 Visit Necafe Facebook page at www.facebook.com/NESCAFÉ.ph and follow @Nescafeph on Twitter for promotions.